Certain occasions, such as extended catered events, are candidates for a spontaneous dance party. After cocktails, a meal, great music and much scintillating conversation, there remains a latent desire to shut up and shake your booty. Your guests will buzz for weeks about the fun they had at your event, joining in the infectious physical gyrations. 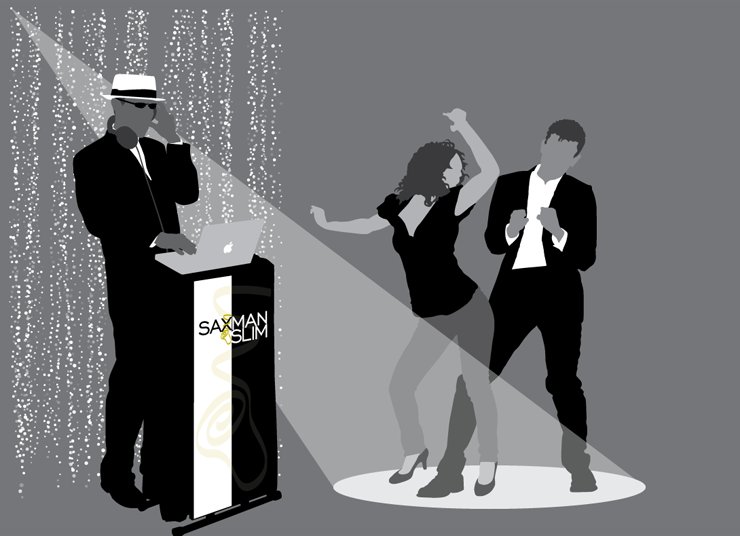 Saxman Slim has the ability to immediately switch into DJ mode when the moment is right.